J.M. Wright Technical High School in Stamford, Connecticut is the first technical high school in Conn. to achieve LEED Silver Certification from the U.S. Green Building Council (USGBC). 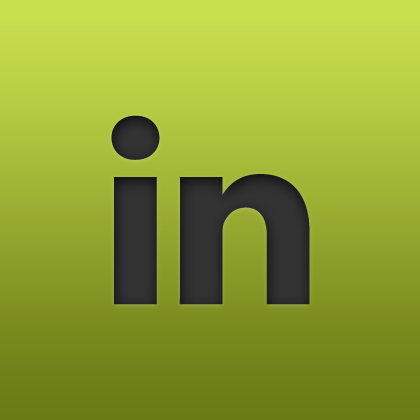 USGBC LEED certification recognizes achievement in green buildings that are designed to save money, conserve energy, reduce water consumption, and improve indoor air quality. Critical participants in the LEED certification process for J.M. 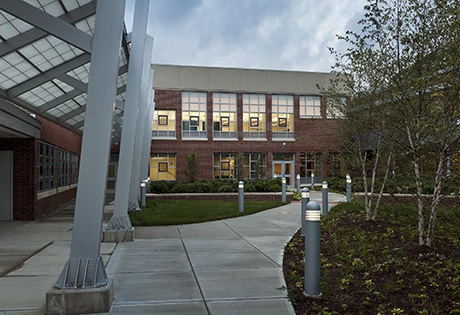 Wright Technical High School include the State of Connecticut, Northeast Collaborative Architects (NCA), Stonehouse Group, KBE Building Corporation, CHA Companies, Richter & Cegan, and BVH Integrated Services. “The Connecticut Technical High School System prides itself on continuously looking for unique and meaningful ways to lead – as evidenced in our E-House initiative, the nation’s first green construction learning laboratories for CTE high school students,” says Dr. Nivea L. Torres, Superintendent of Schools, CTHSS. “J.M. 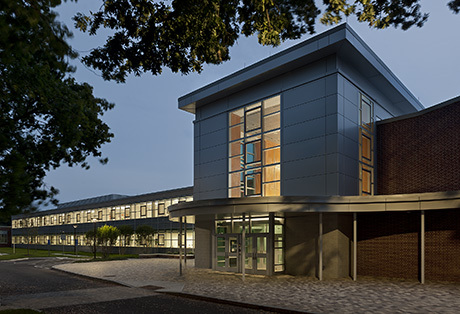 Wright’s recognition as the first technical high school in the state to receive LEED Silver Certification reinforces it as a top contender when considering educational options in the Stamford region and adds another feather in the CTHSS sustainability cap,” she concludes. In 2009, budgetary woes and declining enrollment worked in tandem to close J.M. Wright Technical High School. 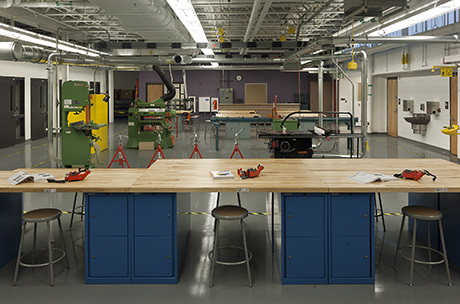 To create a new rigorous learning environment that combines academics and trade programs, NCA worked closely with the Connecticut Technical High School System. The dynamic curriculum prepares students for post–secondary education and in-demand career paths. The $90 million project transformed the existing building into a 200,000 square foot facility for modern technical and vocational education. A priority was placed on delivering this project in half the time of any other technical high school project. Design and construction schedules were accelerated, requiring significant coordination and integration among the State of Connecticut, NCA, and KBE Building Corporation. Several sustainable design elements helped J.M. Wright Technical High School achieve LEED Silver Certification. The greatest challenge addressed was to balance optimal outside air ventilation with efficient overall heating and cooling systems. 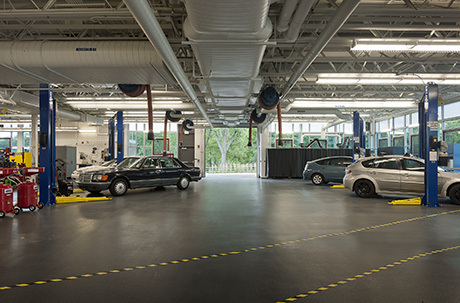 Reusing the existing building and reducing impervious paved surfaces earned exemplary performance credits. Translucent glazing systems were installed to improve light quality and minimize dependency on artificial lighting. The courtyard is irrigated with rainwater harvested from selected roofs.